The future of Iqaluit’s new jail appeared to be in jeopardy for a moment on Tuesday afternoon at the legislative assembly, when an MLA moved to delete the Qikiqtani Correctional Healing Centre’s $3-million budget allocation for 2019–20. Nunavut’s justice minister and MLAs tussled Nov. 6 over the number of Inuit employees set to be hired to help construct the new facility, which will replace the aging, scandal-ridden Baffin Correctional Centre. The new project, originally set to break ground this past summer, aims to build a 112-bed facility with separate medium- and maximum-security wings. But the new facility has already faced delays. When the Government of Nunavut issued a tender for the project earlier this year, it received a single bid that ran over budget, at $76 million. Justice Minister Jeannie Ehaloak said the department is now negotiating a lower cost with the same bidder, the Inuit-owned firm Pilitak Enterprises Ltd. “We’re asking them to reduce their bid,” she told committee of the whole, as members reviewed capital estimates for her department. 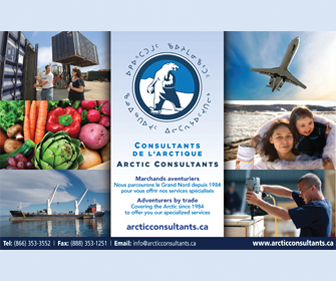 But as part of those discussions, it’s likely the contractor will lower its minimum for Inuit employment hires from 20 per cent to 15 per cent, Ehaloak said. 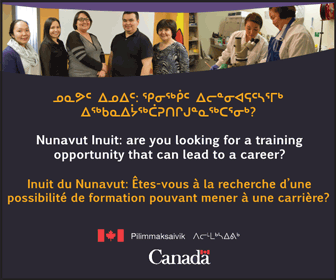 The minister said with so many other projects on the go in Iqaluit, there is a shortage of skilled Inuit workers and a shortage of housing to bring Inuit in from other communities. That didn’t sit well with some MLAs. If housing was an issue, Arviat North–Whale Cove MLA John Main questioned why it would be any easier to acquire transient, non-Inuit workers. Amittuq MLA Joelie Kaernerk then presented a motion to delete the $3-million allocation to the facility, as included in the Appropriation Act for 2019–20. “We’re all aware that Nunavummiut have the highest unemployment rate and this has to be revisited by the government,” Joelie said. The overall cost of the new jail is pegged at $84.8 million, while $78.8 million is budgeted for construction. The federal government has already committed $56.6 million toward the project, but Ehaloak said that removing the $3-million budget item could result in the cancellation of the project. “We could lose the federal contribution of $57 million,” she said in response to the motion. With the promise to revisit the Inuit employment rate, Kaernerk then withdrew the motion. If Ehaloak’s pledge reassured MLAs who are keen on promoting jobs for Inuit, she didn’t sound confident those negotiations would end in their favour. “I’m going to continue to push for the 20 per cent, but you have to understand that this company is 100 per cent Inuit owned, so it’s going to be hard for a small company like that to build a huge facility like this,” she said later in an interview. The 15 per cent minimum is not uncommon; in both Iqaluit and Pond Inlet’s marine infrastructure projects currently underway, the GN set the 15 per cent minimum in the RFPs. Ehaloak said she hopes to finalize that contract with Pitilak Enterprises Ltd. by the end of the year, with tentative plans to break ground on the project next summer. 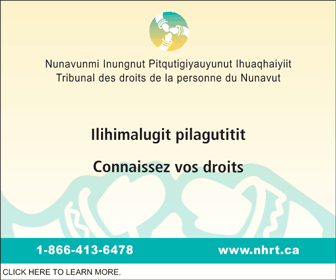 Pitilak Enterprises Ltd. is listed on the Nunavummi Nangminiqaqtunik Ikajuuti, or NNI, registry as based in both Hall Beach and Iqaluit, with the same contact information as Kudlik Construction.